Accelerate your Sales with Einstein Analytics. Let your data do the work for you and increase your sales revenue. 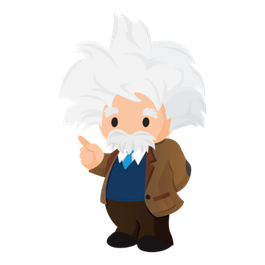 With Einstein Analytics you create more insights in your data. Your sales data will be analysed and based on the results you will recieve recommendations. It will be easier then ever to select the right contact and leads who you should nurture. Most organizations have tons of information but still miss a systematic approach to turn their information into relevant insights and actions on a personal level. Salesforce CRM offers you a powerfull platform where you can connect with you customers in a whole new way. Data-driven marketing has transformed from an innovative approach to a fundamental part of business strategy. It it can be defined in several ways, but at the most basic level, it can be explained as follows. Data-driven marketing refers to strategies built on insights pulled from the analysis of big data, collected through consumer interactions and engagements, to form predictions about future behaviors. This involves understanding the data you already have, the data you can get, and how to organize, analyze, and apply that data to better marketing and sales efforts. Although there are many reasons why companies use data-driven marketing, more often than not, its intended goal is to enhance and personalize the customer experience. If you would like to find out more then you might consider scheduling a call with a CloudtoShare consultant. At this call we love to hear more about you and how we could help you. We are happy to tell you more about the services of CloudtoShare.